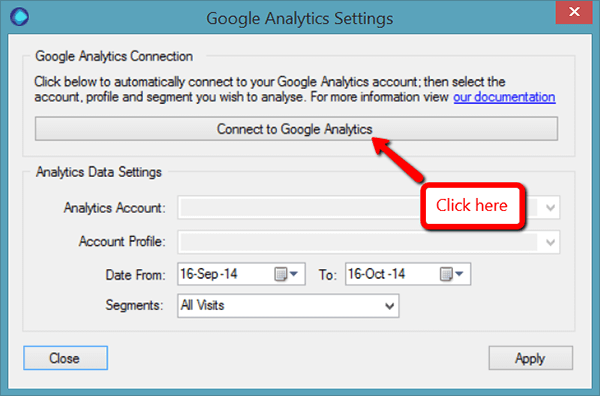 It is really easy to connect to Google Analytics, and takes just a couple of clicks. To get going, simply click on the Google Analytics tickbox under 'URL Level Data'. Then, you just need to click 'Connect to Google Analytics'. 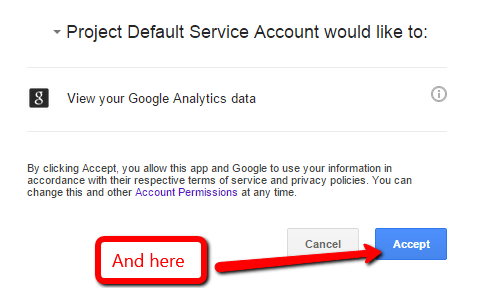 If you weren’t logged into your Google account when you started, you will be taken to a login page. Select the account you wish to connect to and enter your password, then continue as below. If you were logged in to Google before you started, you will automatically be taken to a ‘Request for Permission’ page in your browser, that looks like this. Click to accept. The browser will default to a localhost URL which says ‘Received verification code. Closing…’ in the top left. This browser window actually won’t close, so just close it manually. Return to the URL Profiler program, and you will see that your accounts have been connected! Simply select Account/Property/View, set your date range and choose your segment. 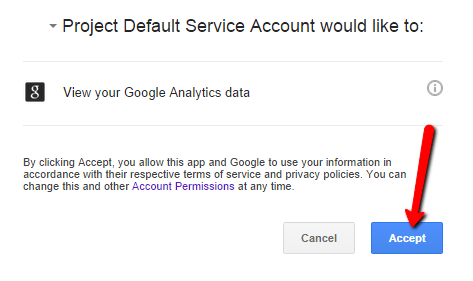 If you realise you have connected to the wrong Google account (perhaps your personal one instead of your work one), simply hit ‘Disconnect from Google Analytics’ to cease the connection. 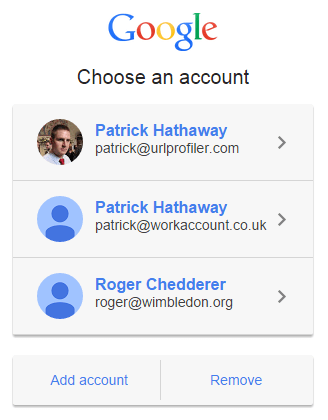 Pick the correct account (or add one) and enter your password. You’ll be taken back to the ‘Request for Permission’ page in your browser. Click to accept, then proceed as above.